The Boathouse Loft is surrounded by natural beauty, a peaceful and relaxing oasis on the shores of one of Cape Cod's largest salt water lakes .....a beautiful waterfront sanctuary situated on its own private peninsula. NEW FOR THE 2019 SEASON: We are pleased to offer the acclaimed "Future Beach Maui 124" stand up paddle board (SUP) for your summer enjoyment usage on the pond. Yet another way to try a new activity & have fun at The Boat House Loft - at no extra charge! Tired of owner surcharges & fees? We invite you to book the Loft with our all-inclusive rates. THERE ARE NO COSTLY OWNER FEES OR SURCHARGES at the Boat House Loft! (No manager fees, owner fees, administrative fees, cleaning fees, property insurance fees, linen rental fees, towel rental fees or pet fees). No boat rental fees! Tired of that landlocked, ordinary "subdivision rental" with no privacy? The Boat House Loft is uniquely encompassed on 3 sides by water and 1 side by conservation land ....with ocean access to Nantucket Sound, yet only minutes to great restaurants, shopping, beaches and fun attractions. Many thanks to our wonderful past guests. Why is the Boat House Loft such a popular Cape Cod destination? We offer a relaxing waterfront vacation at a moderate price.....plus we love and cater to our happy guests! Vacation waterfront! Why choose a landlocked vacation when you're on salty Cape Cod? Waterfront is the difference between an ordinary and an extraordinary summer vacation. With an open floor plan, the Boat House Loft, while not a luxury resort, does have a guest friendly and comfortable Cape Cod antique "country style" appearance, complete with a rustic open beamed ceiling in the veranda. Private bathroom, of course, but please determine prior to booking if the compact stall shower is suitable for your needs. ~ We provide linens and towels. ~ The Loft comfortably sleeps two plus one. There is a king sized bed (the size of two twins) in the bedroom and a loveseat which converts into a futon bed in the veranda (best for a child or youth). ~ Climate comfort ....enjoy the open window fresh breezes off the pond with your second story elevation. During hot summer days, there is air conditioning in the bedroom/living room. Fans in every room. During the crisp spring and autumn days, the bedroom/living room and the kitchen are both individually heated with thermostatically controlled heaters. The scenic approach to the Boat House Loft is by a private winding dirt road. At the very end of the road is the Boat House and it's adorable, very private Cape Cod 'tree house' loft, perched on the second floor under mature pine trees. Included with the Boat House Loft is a large outdoor space - your own private yard. Great for relaxing and grilling at the water's edge. The location is ideal for the kayaking, canoeing, stand-up paddle boarding or sailing enthusiast ....you have direct access to the launch area from your outdoor space. Well lit for night time usage. As in past years, we also offer usage of 2 KAYAKS and a CANOE. All INCLUDED ! No family boat rental fees. Paddle down to the warm south-side ocean beach at the mouth of Swan Pond River. Your best vacation ever! With the kayaks or canoe, you can circumnavigate Swan Pond (and explore the quiet coves) or paddle down Swan Pond River to the ocean and South Village Beach (don't forget a beach picnic basket). Complimentary lessons on request. No expense and inconvenience of renting boats..... kayak everyday if you're so inclined and get close to the migrating waterfowl and Swans as they swim by. The kayaking and boating is some of the best on Cape Cod - two miles downstream is Nantucket Sound, with a Town of Dennis public beach at the mouth of the river. You can canoe to the beach! It is warm water south-side beach kissed by the Gulf Stream. The Loft is exactly 30 minutes from the Cape Cod National Seashore's Salt Pond Visitor Center and both Coast Guard and Nauset Light beaches. One of the Cape Cod Rail Trail entrance points is only a ten minute bike ride away. From there, you can bike to Chatham and beyond. The rail trail is being extended for the summer season! ~IMPORTANT ASTHMA ADVISORY - The Boat House Loft is directly on the water and, like all waterfront properties, is subject to a beautiful morning fog which burns away with the sun. The Loft is not suitable for those with asthma or any other humidity or moisture related respiratory allergies or sensitivities. ~PET ADVISORY - We are regretfully unable to accommodate potentially aggressive breeds like pit bulls or pit bull mixtures or ANY DOG that has shown past aggression to other animals or people. ~THE DAMAGE DEPOSIT is held in escrow by VRBO/Home Away and is refunded in about a week after guest departure. ~ THE SERVICE FEE is a VRBO/HomeAway charge on all their rental bookings. ~TAXES - Effective January 1, 2019, The Commonwealth of Massachusetts enacted a new law. It is requiring ALL short term vacation rentals, including HomeAway, VRBO or Expedia guests, to pay a state lodging tax plus a Cape Cod environmental tax to the Commonwealth for rentals statewide. It is incumbent upon the guest to pay the tax, to be collected by the renting interface (HomeAway/VRBO/Expedia). Please feel free to email if you have any questions about this newly enacted government legislation. A selfie of "KING", a Great Dane/Black Lab mix...a sweet, gentle giant if ever there was one. King and Laurance are your hosts. For your peace of mind, we are also your neighbors - delighted to offer assistance 24/7 to help make your stay more enjoyable & memorable. Always happy to answer your questions or make recommendations. The owner is a BIG animal lover (both dog & cat) and is willing to assist you in choices of destinations that are dog friendly, including popular dog hikes, a gorgeous north side beach in Dennis that not only accommodates your puppy during the summer season (sandy dog heaven! ), but also has no daily parking fee. Also, outdoor restaurants, great dog walks, super dog parks (with spoiled pooch drinking fountains) and much more. We do not charge a Pet Fee! What animal lover would? The Boat House Loft is located at the end of a winding country road. It is quiet and peaceful, yet not too far from the Mid-Cape Highway (exit 9), making it a perfect jumping off point for anywhere on Cape Cod - east or west, north or south. This "mid-cape" location is almost equally distant from either Provincetown or Woods Hole. A perfect central location. We're only 90 minutes from either the Boston, MA or Providence, RI metro areas. Thirty minutes from the canal - double lane highway all the way. Major stores, including a Stop & Shop supermarket, are located at the exit 9 intersection (about 2 miles away). We love and adore our pets! Feel free to bring your four legged family member along on vacation. Don't leave them home in a kennel - they need a vacation, too! We are pet friendly to well trained dogs and neutered kitty-cats. The quarter-mile walk down the lane and back is perfect for those early morning and evening walks. There is a 30 x 30 neo-angle stall shower in the bathroom. Please determine prior to booking whether this is suitable for your comfort. Short drive to either South side or North side ocean beaches OR you can paddle downriver to the ocean and a premier Town of Dennis beach without even stepping in your car! Direct salt waterfront on beautiful Swan Pond, which is connected to Swan Pond River estuary - which flows down to the ocean (Nantucket Sound) and south side, warm water beaches. We supply linens, a bedspread and plenty of pillows. We supply 2 sets of bath towels and hand towels. Pub style seating with bar height table and bar stools located in the Veranda. The height allows for encompassing water views. Private 3 exposure Sun Veranda with cathedral ceiling (faces North, East and South) overlooking the water. Usage of TWO KAYAKS and one canoe. Complimentary lessons on request. You're welcome to bring your own boat, windsurfers or stand up paddle boards. The launching area is steps away to Swan Pond. Waterfront activities at your door step! The location was convenient to a lot of places in the south Cape. The Swan Pond which the loft was located on was very picturesque. The facilities need upgrading with better finishes. Some of the accesses to rooms one needed to pay attention so as to not trip on uneven transition points. The bathroom shower was very small and the bottom floor felt soft and uneven pressure depending upon where one stepped. It felt like some of floor could cave in if not dealt with gingerly. The bedroom was spacious and the finish of the walls and ceiling was better than other rooms. It was comfortable space. Out-of-state travelers are always welcome at the Loft. Thank you for your comments, even though there are factual inconsistencies which do not accurately describe the Boat House Loft. Other prior reviews are far more insightful and accurate. We encourage potential guests to read those and take this isolated review in context. The bathroom does indeed have a neo-angle shower and it's dimensions were specifically mentioned in the profile listing (there is a photo which does show the shower). The shower's "Flexi-Floor" design is quite popular with almost all of the guests, and we appreciate their favorable compliments on the shower floor not being so hard under their feet. The Loft's sun filled veranda, with it's ten windows, is the most popular feature of the Loft (and built to replicate the feel of a ship's bridge). It is surrounded on 3 sides by water. As an architectural addition, the veranda was specifically built in a "rustic style" to resemble the Cape Cod tradition of exposed beams, a reminder of a simpler post Colonial time and the joy of relaxing without modern pretense. There are several photographs of the veranda which beautifully display it's rustic nature. It is the room we get the most compliments about, because there is only one like it in all of Cape Cod. There is a slight three inch step down to enter into the veranda, a well designed and implemented architectural component so that perceptive guests can appreciate the veranda with it's remarkable vistas. The physical transition is so slight that even our most senior guests, in their mid-to-late 80's, have no difficulty navigating the 3 inch transition. The Boat House Loft consistently receives either 4 or 5 stars from it's appreciative guests and we love our positive feedback. We do recognize that, whether it is a short term vacation rental, a blockbuster movie or even a cup of coffee, a tiny number of individuals will find the need to critique. This especially applies to those who are not well-traveled and have little basis of comparison with Cape Cod architecture. We always try to please, but recognize that it is not possible to please everyone all of the time. Even so, we will never stop trying to do our absolute best! Thank you again for communicating your personal feelings and you are welcome back anytime. Laurence is the perfect host! The super cute and cozy boathouse was comfortable, with all of the basics provided for in kitchen and bath. (bring your own food of course) The 3-sided glass/screened in porch gave us beautiful scenery over the water, this was our favorite space. The boat house is at the end of a secluded dirt road giving us total peace and quiet, the prize!! Thank you Laurence, see you next year! Beautiful location on Swan Pond! Dog-friendly rental right on pond. Owner, Laurence was very nice and helpful. Pros: Pet-Friendly. We made the unusual request to bring our aging cat with us (no medical issues, just misses us when we're gone) and Larry agreed. That meant the world to us! The location is great, right on the water. Having the kayaks available was perfect and we actually used them to go down the river to the public beach where we got engaged! While the kitchen isn't large, it offered most of what I needed to cook 75% of our meals at home. No keurig but the coffee pot, french press, and pour-over options don't leave you empty handed. Having access to the grill was great, made eating in even easier. While we were there, Larry added some new lawn furniture, which was a plus as well. The bed very comfortable and though it was pretty nice out during our stay, the heated mattress pad was quite the treat. Cons: Ants. Just make sure to wrap up all your food and put in the fridge/closet to avoid ants. We understand its a rustic cottage setting so it wasn't a big deal, just something to know ahead of time. The shower is small, as Larry puts in the listing, but the floor also feels a little "soft" in spots which is odd. The bathroom doesn't have a true curtain so the neighbors can see right in-- something we rectified with a towel over the window. The TV is older, but this isn't an issue as most people staying here are not coming to the Cape to watch TV! Overall, we really enjoyed out stay. You can't ask for a better view for such great prices and Larry is a wonderful host. Dennis is very central to the cape so you can really drive anywhere reasonably to do different activities. We certainly recommend staying here. We enjoyed the boathouse loft. It's cozy, quaint and met our needs. 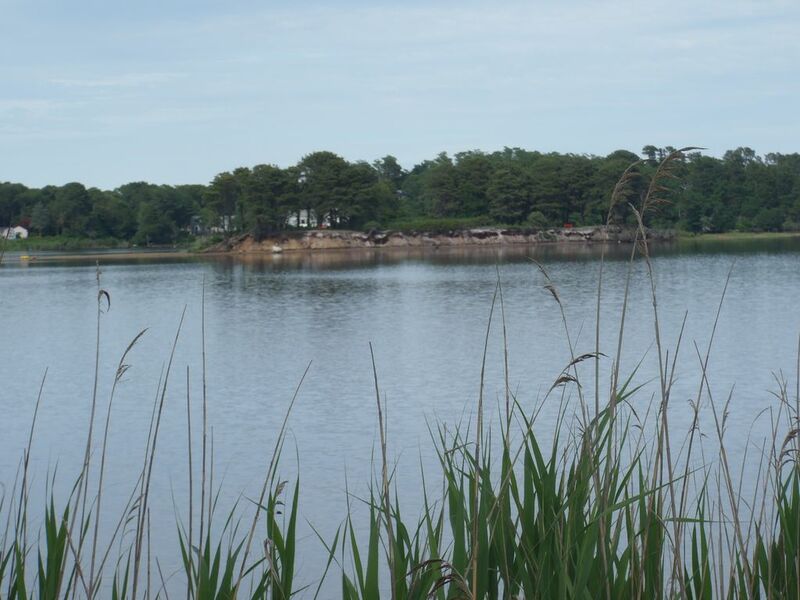 It's an awesome location, right on a beautiful salt pond. Unfortunately it rained so we didn't get to use the kayak or canoe available. Will definitely return! The BOAT HOUSE LOFT is located on the Dennis Port/South Dennis border, on the shores of Swan Pond. The Home Away/VRBO profile map (GOOGLE MAPS) depict the property location accurately. Arriving guests are strongly advised to use the directions below, as some GPS devices may misdirect you to an alternate address. ~ The Boat House Loft is located at "49 Cedar Lane, Dennis, MA 02660". -You're there....park off to the left. ~ PLEASE LET US KNOW PRIOR TO BOOKING IF YOU HAVE ANY SPECIAL NEEDS. ~ CHECK IN: 4:00 PM or later ~ CHECK OUT: 11:00 AM or earlier ~ QUESTIONS? Please email !